It is with a tremendous sense of loss I am updating the members of the guiding world and members of the CSGA that on March 28, 2018 we lost one of our brightest stars. Lisa Korthals, age 49, mother, wife, daughter, sister, friend – died in an avalanche while guiding in the mountains near Pemberton BC. Lisa was known to many, carving out a life in the mountains surrounding Whistler and Pemberton for the past 30 years. As one close friend remarked, she was “a proper legend”. Lisa was born in Toronto and raised there with her two brothers. She attended Brown School and Branksome Hall before moving out to the west coast in 1987 to attend UBC. Her adventurous spirit and athletic passions chafed under the confines of university life. Being an accomplished canoeist ,perfected over many summers attending Camp Wapomeo, she began to heed the calls of nature and started venturing to Whistler . Having learned to ski in the hills of Ontario under the guidance and inspiration of her mother Judy, and also having taken a trip to Whistler during her last year of high school, the temptation was too great. Getting a job with the Whistler Mountain Ski School sealed her fate, and she began a love affair with the Coastal Mountains that refused to abate. 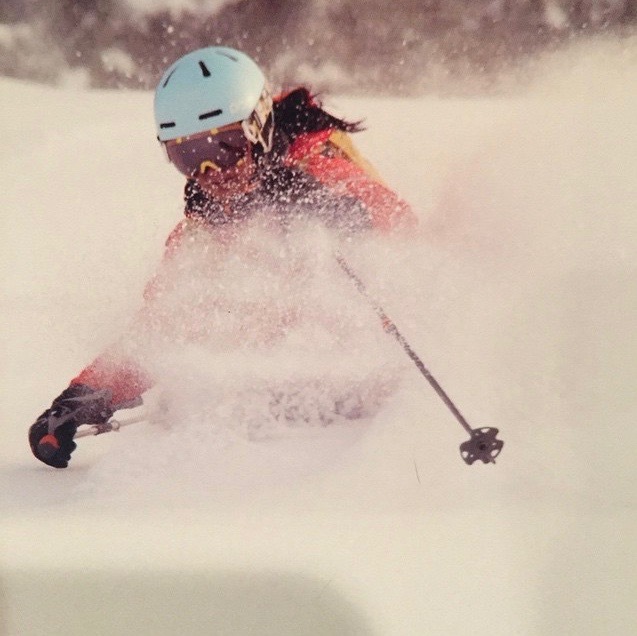 Lisa began to pursue perfection on skis and quickly started adding qualifications to her list of impressive achievements that culminated with her reaching the pinnacle of ski instruction , the Level IV certification. Not slowing down in her summers off the slopes, she continued to pursue her passion for canoe tripping, specifically long and remote adventures down the Moisie and Coppermine Rivers. 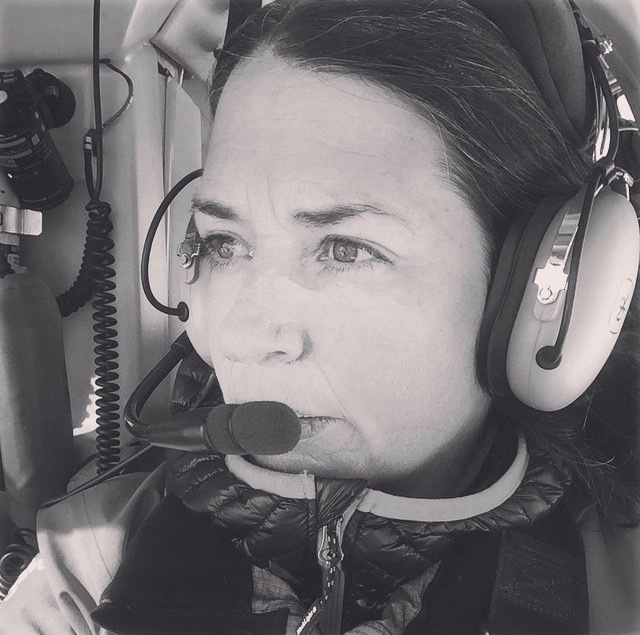 These were unsupported missions in the barren landscape of Northern Canada that she co-led with her dear friend Andrea Dorfman. In hindsight, they are truly epic accomplishments. At this point other passions called. Lisa was always a peripathetic adventurer constantly looking for new challenges. Her close friend Leeanne Patterson introduced her to rock climbing and Lisa took to it like any skill she perfected, with drive and determination.The natural outlet to this was attending Thompson Rivers University in Kamloops to study in the Outdoor Adventure Program. These college years were punctuated with working at Outward Bound leading river rafting trips in Idaho and rock climbing trips to places like Joshua Tree and Smith Rock. In 1997 Lisa moved to Pemberton, fleeing the perpetual housing crisis of Whistler. She immediately fell in love with a piece of property 10 kms north of town in a small nascent neighborhood called Walkerville. She homesteaded here in true Lisa fashion, getting a friend to build her a tiny 10 x 10 shed that she lived in for 2 summers. At the same time she met her future husband and life partner, Johnny Foon Chilton, in a skiing contest. They proceeded to build their dream home on the hill. 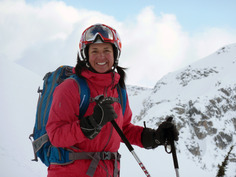 Soon after settling in Pemberton Lisa decided to concentrate on ski guiding as a winter profession and began the Canadian Ski Guide Assoc. certification. This led to working at Mike Wiegele Heli skiing and gaining a Level 3 ticket. Her summers were occupied with horticulture, working for the municipality of Whistler. Climbing and big mountain skiing became central to her life , taking on big objectives with her husband Johnny, culminating in the climbing and skiing of University Peak in Alaska. A daunting feat, skiing 2,700 meters at 50 degrees plus, Lisa became the first woman to log a descent of this face. By this time family beckoned and Lisa gave birth to son Tye in the summer of 2005. 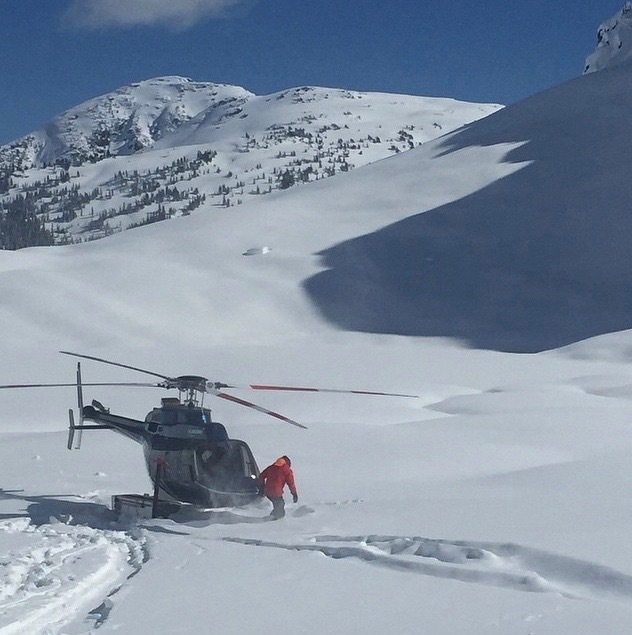 Settled into her cozy neighborhood , living alongside close friend Wendy Brookbank and raising their son, she decided to stay close to home and took a job as a guide with local Pemberton heli ski operation Coast Range. Again she excelled here and became the operations manager for 2 seasons. Lisa was a sublime skier. Fluid. Graceful. Powerful. An absolute dream to watch. Her son Tye has learned the trade well from this incredible athlete and is becoming a complete skier at the tender age of 12. Her passion for skiing and adventure were matched by her dedication and love for Tye. She transitioned from rock climbing to mountain biking. She was dogged in her pursuit of excellence in this sport like everything else. Her texts to me about “cleaning” a trail became legendary between Lisa and Johnny. Lisa is survived by her husband Johnny, her son Tye, her mother Judy, her father Robin, her brother Jamie and a colossal list of friends . She was pre-deceased by her brother Chris. She was a connector, a truly social being, a hugger and a kisser. She made people feel special. She was full of raw emotion and deeply felt love for everybody who crossed her path. She lived life INTENSELY. She leaves a massive hole in this community and in so many hearts. Her smile was extinguished by the whims of nature but it’s luminosity and power will forever be etched in our minds. Our heart goes out to everyone. So very sorry for your loss. May only good memories keep her light shinning always.